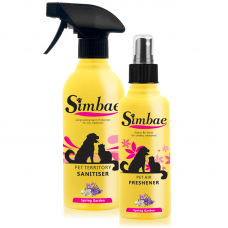 ❤Every Simbae's purchase,we will help you to donate RM2 to a pet charity ! Simbae Cleaning Pack consists of 1 bottle of Surface Sanitiser and 1 bottle of Air Freshener. This cleaning pack is your pet-friendly alternative to cleaning your pets favourites spaces and leaving the area’s bacteria free and smelling good! 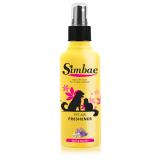 Alcohol-free and is safe to be used aroung dogs and cats. Dual Action, odour control and sanitising properties. Two Step application only - just spray & wipe away. Safe to be used on all fabrics. Quick absorption and light aromatics. Litter Box - Empty Litter box of stones,sand,pellets, or crystals and rinse with water, spray Sanitiser and scrub box clean. Rinse well with water. 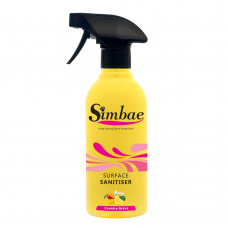 Spray & Wipe - Spray Sanitiser onto surface, remove dirt's with cloth or paper towel, spray once more and wipe surface clean. 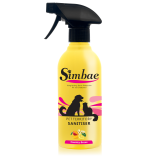 Sanitise Hand Surface - Spray lightly and evenly onto the surface until slightly damp. Wipe off any excess spray with a cloth. Litter Box Odours - Spray directly onto the litter. Airborne Odours - Generously spray into the air. 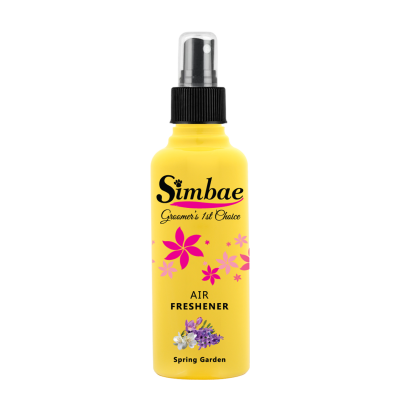 Fabric Odours - Spray lightly and evenly onto fabric surfaces until slightly damp. Not recommended for use on delicate fabrics. Hard Surface Odours - Spray lightly and evenly onto the surface until slightly damp. Wipe off any excess spray with a cloth. All Simbae products are natural or organic, close to nature, cleanly processed and harvested in a sustainable and socially responsible manner.